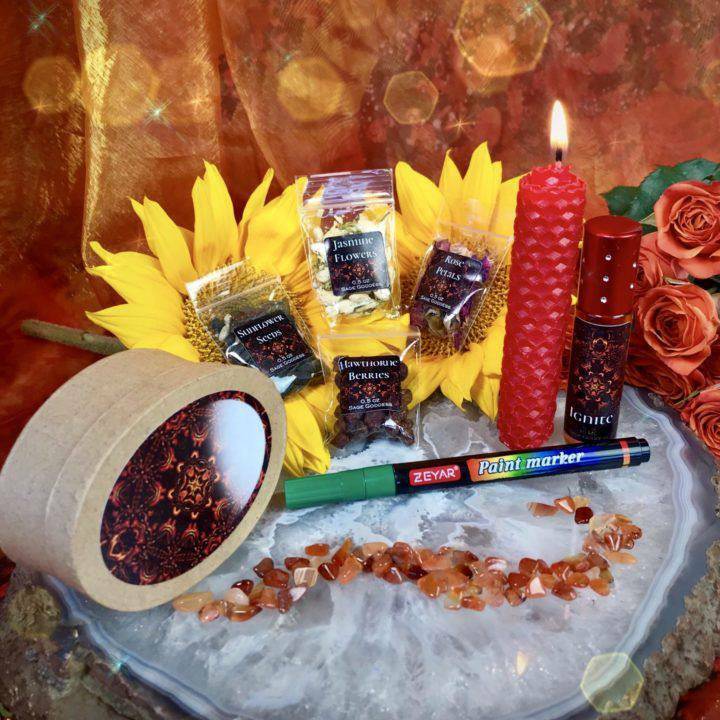 Beltane takes place on the first of May, the month of major manifestation and prosperity! 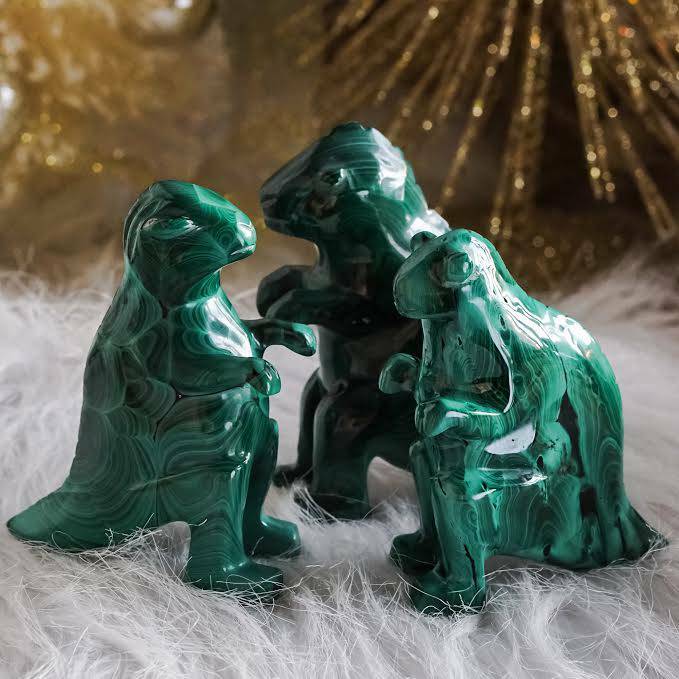 This sacred holiday symbolizes the union of Mother Earth and Father Sky and is all about fertility – both literal fertility and creative fertility. When we celebrate Beltane, we honor the conception of our deepest intentions; our ability to bring our ideas, hopes, and dreams to life. 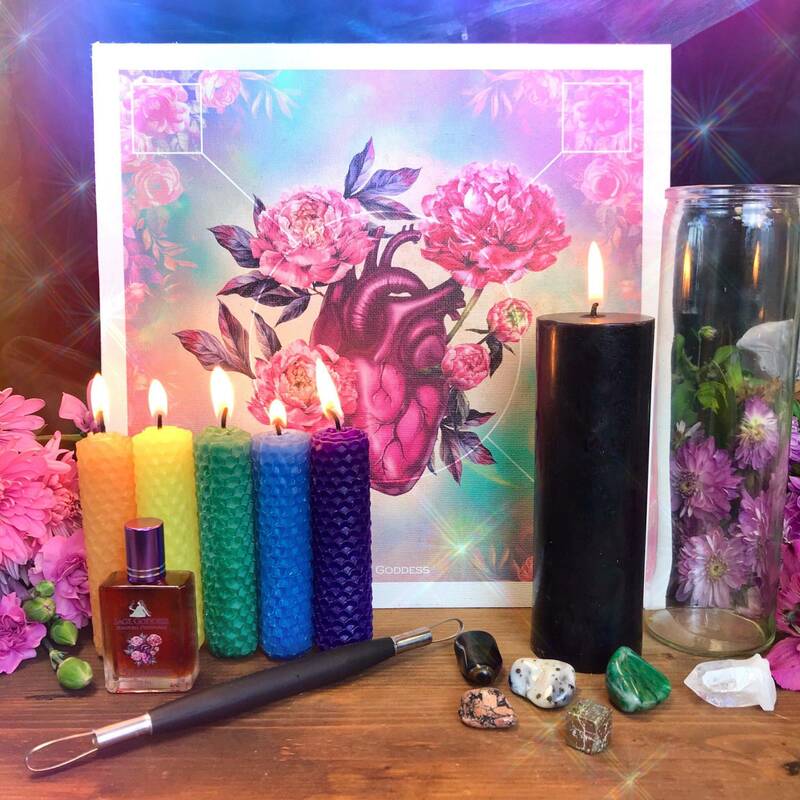 These Beltane Tools will guide you during my online Beltane Ritual, where we’ll create our own fertility charm boxes and call forth the magic of spring. It’s going to be a beautiful and sacred experience, and I hope that you’ll join me. Keep an eye on the Events section of our Facebook page for more information – details coming soon! One (1) biodegradable egg box. This box is meant to symbolize the womb – the origin of all of creation. Together, we’ll fill these boxes with offerings for Mother Earth and Father Sky. We will then bury our boxes and let Father Sky cast its warm embrace, feeding the seeds of growth while Mother Earth embraces the box with her nurturing, life-giving energy. 0.5 oz of sunflower seeds. The sunflower is associated with the Solar Plexus Chakra and represents adoration, loyalty, longevity, happiness, and power. It gets its name from the Sun and is believed to worship the Sun because its blooms follow sunlight as it moves and travels across the sky. These sunflower seeds can be sprinkled above the box once it’s buried, and they serve as a reminder of what you’ve rooted and are allowing to manifest. 0.5 oz of rose petals. Associated with love and passion, the rose is directly connected to Flora, the goddess of Beltane. Pink rose petals, in particular, symbolize fertility and motherhood. 0.5 oz of hawthorne berries. Hawthorne berries traditionally bloom at the end of April and beginning of May and are associated with fertility and sexuality. The blooming of Hawthorne berries is how our ancestors knew it was time to celebrate Beltane. 0.5 oz of jasmine flowers. Jasmine carries energies of love, romance, beauty, and sensuality. It’s a known aphrodisiac and is believed to bring good luck. Its delicate scent evokes positivity and purifies surrounding energies. 0.5 oz of carnelian chip stones. A stone of passion, motivation, action, and fire, carnelian stimulates the Sacral Chakra and boosts vitality and sexuality. This powerhouse gem sparks your innermost creative instincts. One (1) 4” red beeswax candle. Anoint this candle with your herbs and oils, then burn it over your box in order to seal your intention. One (1) 10 ml bottle of my Ignite Perfume. 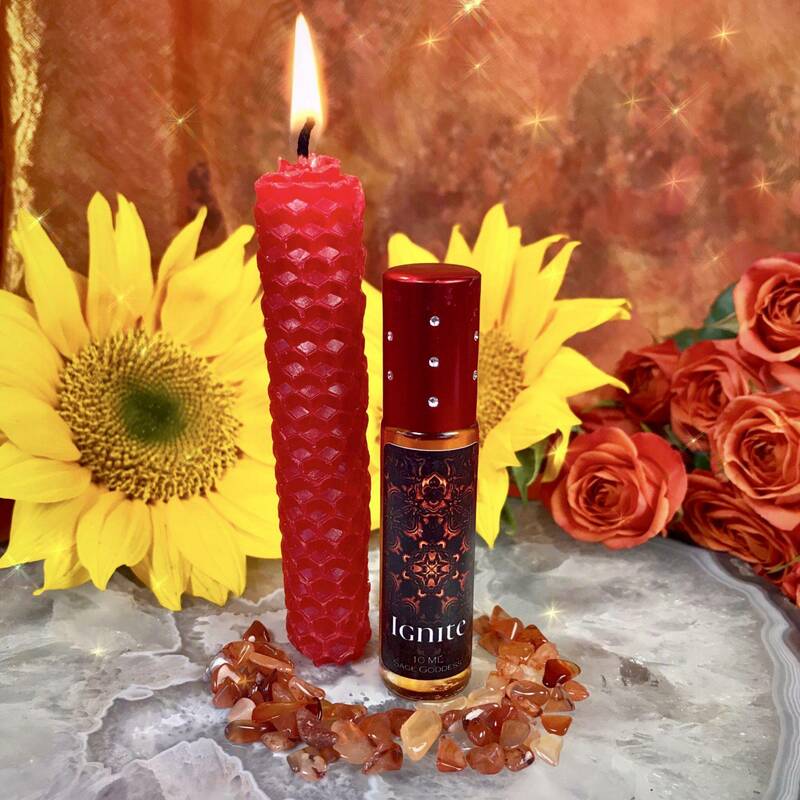 This intoxicating blend features ylang ylang, rose, jasmine, and a hint of cassia – all suspended in sunflower oil. 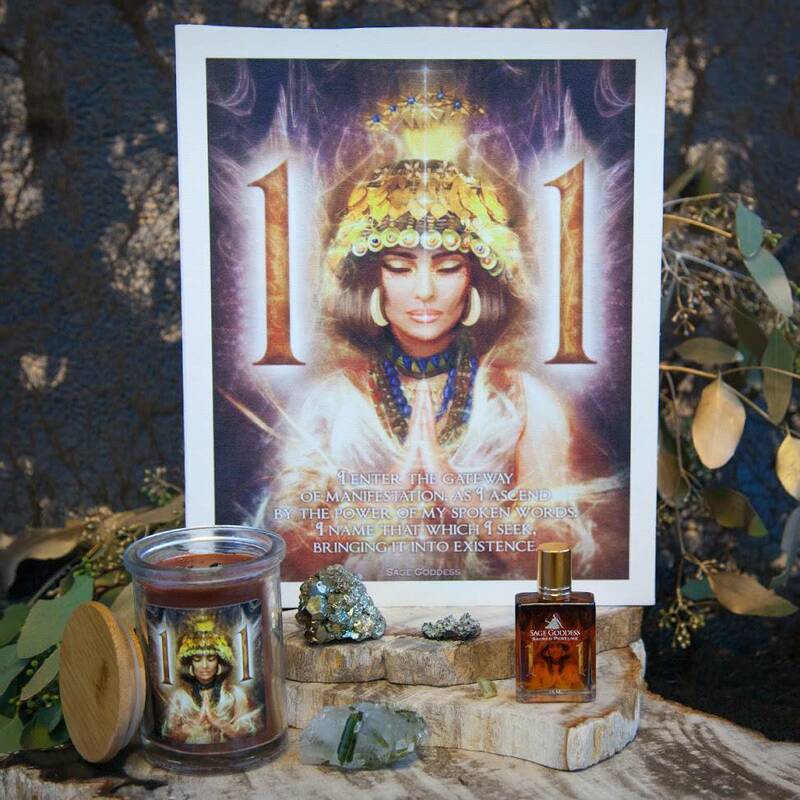 Anoint yourself with this perfume as a reminder of what you’ve planted and are manifesting. You can use it to manifest your incense as well. 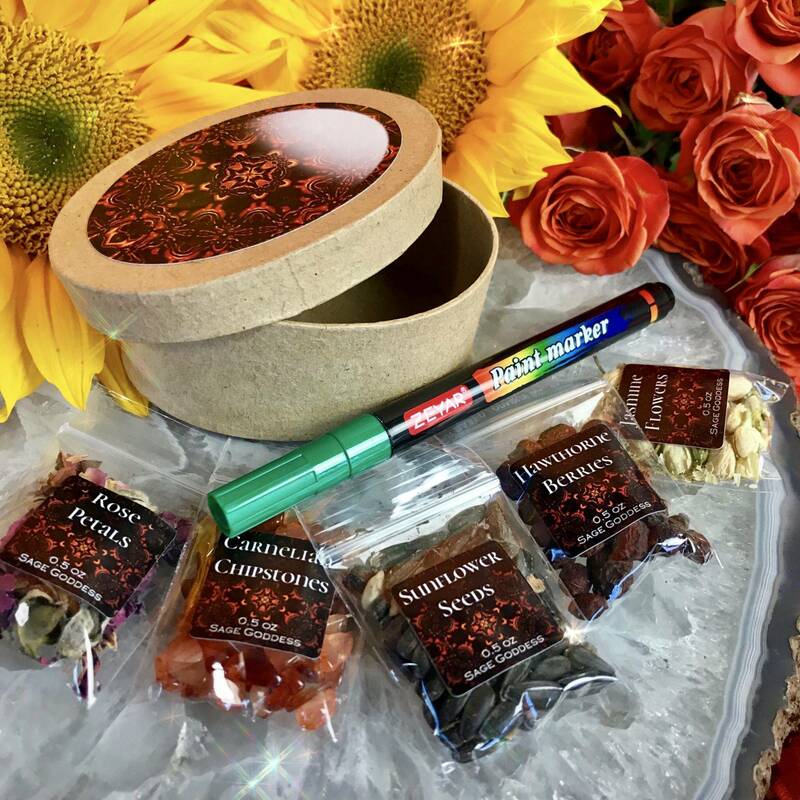 One (1) non-toxic paint pen to decorate and adorn your box with whatever your heart desires! This listing is for one (1) set of Beltane Tools for the Live Online Ritual with Athena, as described above. Yours will arrive lovingly parceled along with a single leaf of white sage and a card describing the properties of the stone. Note: Ignite Perfume is made with natural essential and carrier oils and may contain fragrance oils. Cap color, chip stone, and color may vary slightly. For external use only. Please always burn your candle on a heatproof dish on a stable surface, and never leave a burning candle unattended.